2011: I learned that I-phones take lousy pictures! 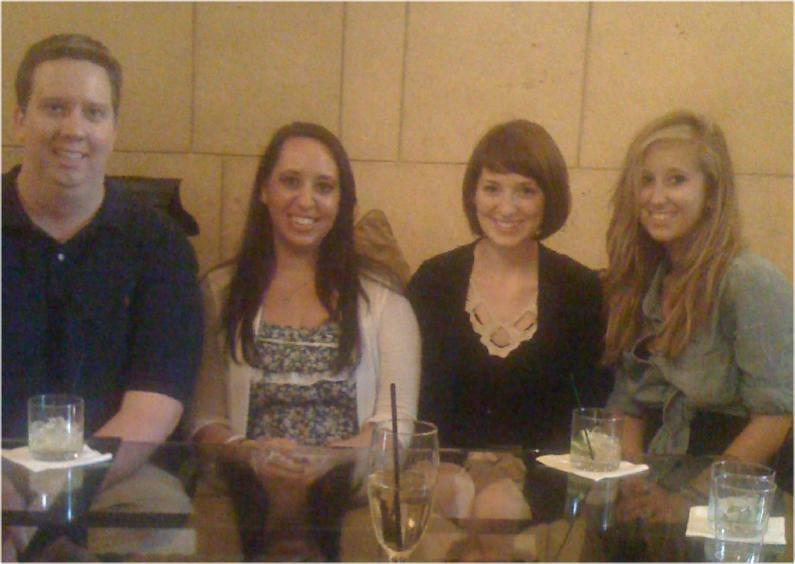 Thomas, Mary, Rachael, and Olivia made it through a daunting day, L.A. 2011. 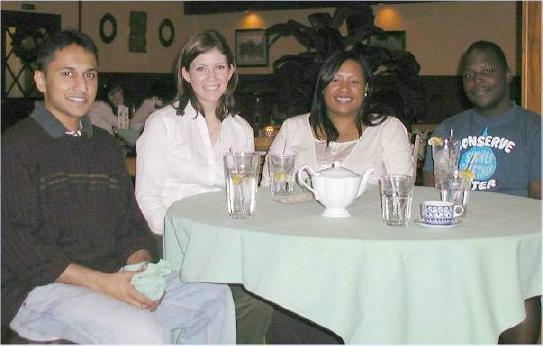 Left: Neerav, Christina, Charmaine and Nic, at the Khyber Pass restaurant, February 2008. 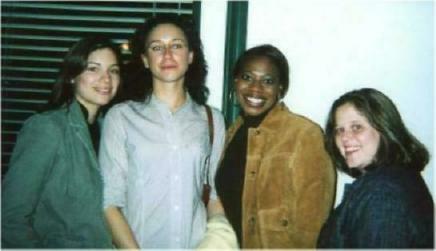 Above: Rayen, Susannah, Tori and Amanda at an Italian restaurant after the Los Angeles Law Forum, 2005. To the left, I'm in front of the New York Hilton, 2006. 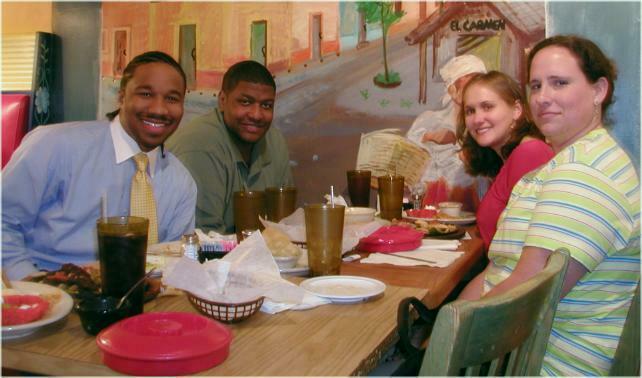 After the 2007 Atlanta Law Forum, Corlandos, Jerome, Ashley, Suzy and I headed for one of the better Mexican restaurants in town, Mama Ninfa's (related to the Houston chain). In September 2008, KaSandra was the student rep at Wisconsin's table, and joined me for dinner. Victoria (a/k/a/ Queenie) and Kunal also joined the party. 2006: Gary even manages to pick up a friend in the middle of a law Forum. Not only two great smiles, but with shirts that match their eyes! 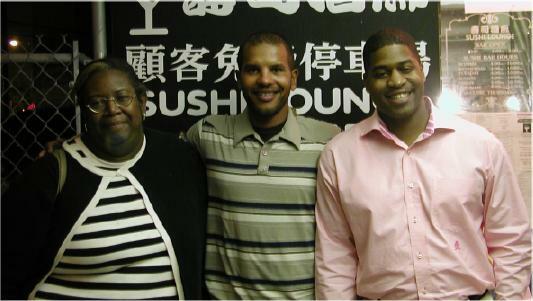 Dinner with Edna, Randy, and Darrell in Chicago's Chinatown around 22nd and Cermak after the Law Forum, 2007.
the year after I had cancer. 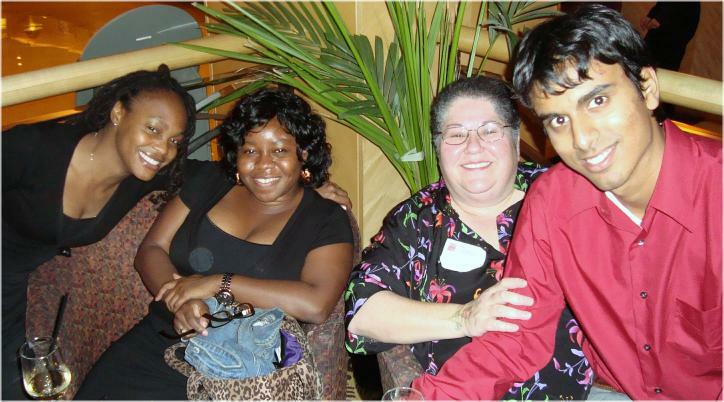 Erika with her best friend Jessica, and clients Nick and Erika at the Miami law forum, 2010. There have been a lot more Law Forums, but a lot fewer pictures. In 2018 I plan to attend the Forums in DC, Chicago, and New York.